The six-day specialized commodities training organized by ATASP-1 for youth agripreneurs has just ended at the IITA Abuja station. The training drew over 40 participants from Kano, Rivers, and Abuja, and was facilitated by the ATASP-1 Cassava, Rice and Sorghum Commodity Specialists including Richardson Okechukwu of IIITA, Philip Idinoba of AfricaRice, and Hakeem Ajeigbe of ICRISAT. The Agripreneurs are expected to cascade the training in their various catchment areas. The Abuja group is expected to cover the North Central, the Rivers group will cover the South East, whereas the Kano group will cover the North West. 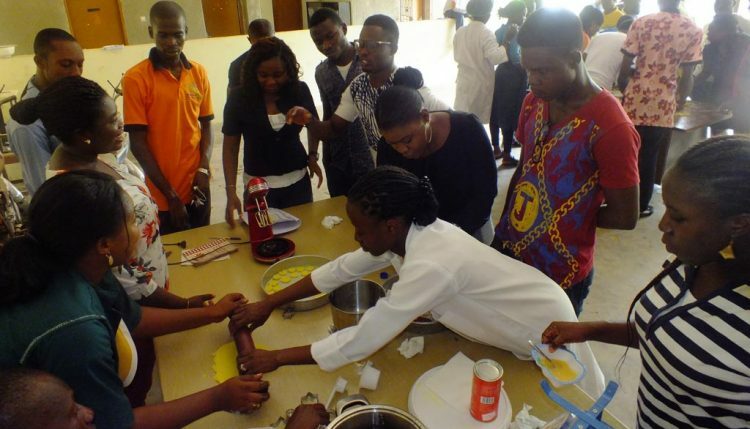 During the training, the visibly excited youth Agripreneurs were taken through the nitty-gritty of cassava, rice, and sorghum production including mechanized farming and value addition through processing, packaging, and marketing to enable them to discover the ample income-generating opportunities in the commodities. The training is intended to enable them to pass on the knowledge gained to other young people in their communities when they go back. 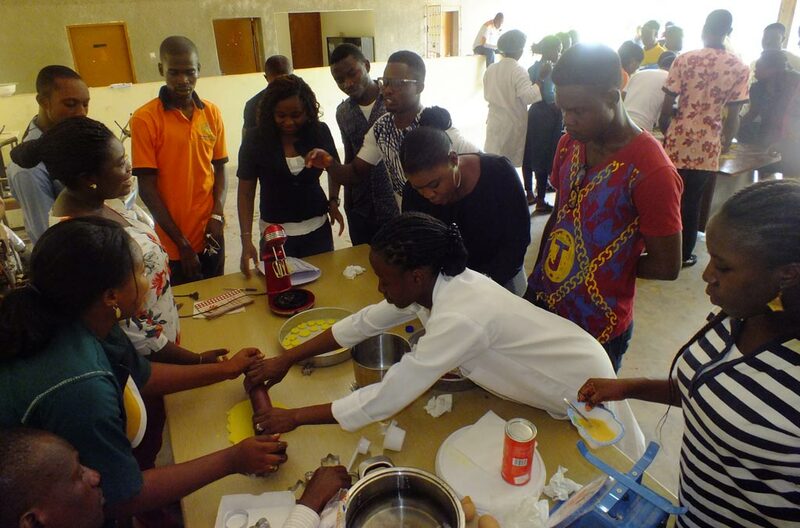 After the training, Joshua Adewale, a youth Agripreneur from Onne, said that he has gained the “ability to train youth in production, for which he had no prior knowledge.” Another participant from Kano, Veronica Magaji, said: “This training is an eye-opener to so many things. Light has been shed on areas of farming and processing which is worth investing in and I will take the bull by the horns.” In another instance, Chinwe from Abuja who also participated in the training gushed “I never knew that agriculture could be so profitable until this training. I have seen opportunities to invest in”. The highpoint of the training was the display of the confectionary that the trainees prepared during the training; they include cassava bread, cake, sausage roll, chin chin, and tid bits. The exhibition was witnessed by the facilitators as well as the ATASP-I team. The whole group went into a frenzy when Okechukwu announced that he would buy a cooker for the agripreneurs if they come up with a good business plan for production and marketing of their products in Kubwa. In the same vein, Gbassey Tarawali, Head IITA Abuja station also assured the Agripreneurs that their products will henceforth be used for meetings at the Abuja station.